Napoléon Bonaparte was a noble Italian man born in Corsica Italy who was trained as an artillery officer in France and would be commissioned as a 2nd lieutenant after graduating from military school in artillery (1785). Thankfully, for him, he was stationed in Corsica during the Revolution, which probably saved his life. Being a supporter of the Jacobins would help his military career and would rise quickly to the position of lieutenant colonel in the Corsican militia in a short time. He was not really the best revolutionary member of France, having stayed too long on a leave of absence at one point and even led a riot against the French army another time. His connections to important people of France would keep him out of too much trouble despite these issues. Napoleon was brought in to help in the War of the Pyrenees (1793-1795) against Spain and Portugal in the border area between Spain and France. The French army was spread so thin that they had real trouble in this battle, but the French were able to slow their advance to a stalemate. As the Spanish lost their first wave of officers they were not able to replace them with leaders who were as talented. This would cause a slow decline in the strength of the Spanish military position over time, and the decision of tons of French émigrés to flee Spain in case of the overrun of the country. 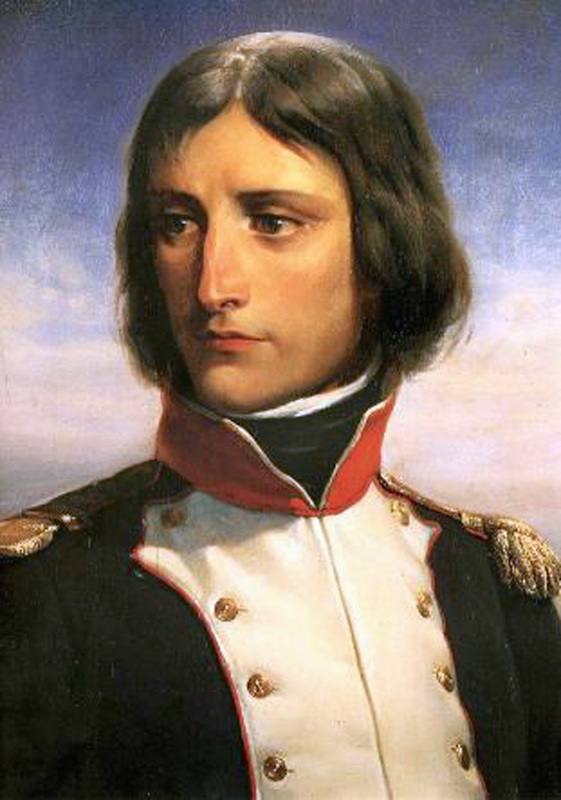 Napoleon would make a name for himself as a leader in the Siege of Toulon (1793), a royalist rebellion within France that was aided by the Spanish. The French government was very interested in this battle so that it didn’t lead to other rebellions so they sent a solid military force to the city. Napoleon would advance to be the Chief of Artillery after his predecessor was died in a battle, and created a battle plan that would be instrumental in taking the city. His plan was to take a hill which overlooked the harbor so that his artillery could shoot the British ships and stop all aid from being brought into the city. The French would commit bloody atrocities when they entered the city, killing between 800 and 2,000 people once taking control of the city, but this was expected by the leadership of France and they punished no one. Napoleon’s decisions would be such a monumental help to this battle that he was promoted to Brigadier General at the age of 24, although he was helped by the fact that he was close friends with Agustin Robespierre. Napoleon would become a target for backlash during the Thermidorian Reaction because of his association with Augustin Robespierre. Thankfully he was able to talk them into giving him house arrest since he was a minor player in the Jacobins. He would also fake a sickness to try to get out of a military posting, which caused him to be demoted but was probably a good thing in the long run. This was still a time when officers were being hunted by their own men and his quick rise may have made him uneasy. cannons against French citizens (and this was a much bigger fight than the Champ de Mars Massacre) Bonaparte would become a national hero for what he did in this battle. Instead of being put to death for this, as he would have been in years past, he was promoted to become a General of a Division. Between his new popularity and his ally in Barras, he would be given command of the Army that invaded Italy 5 months later.